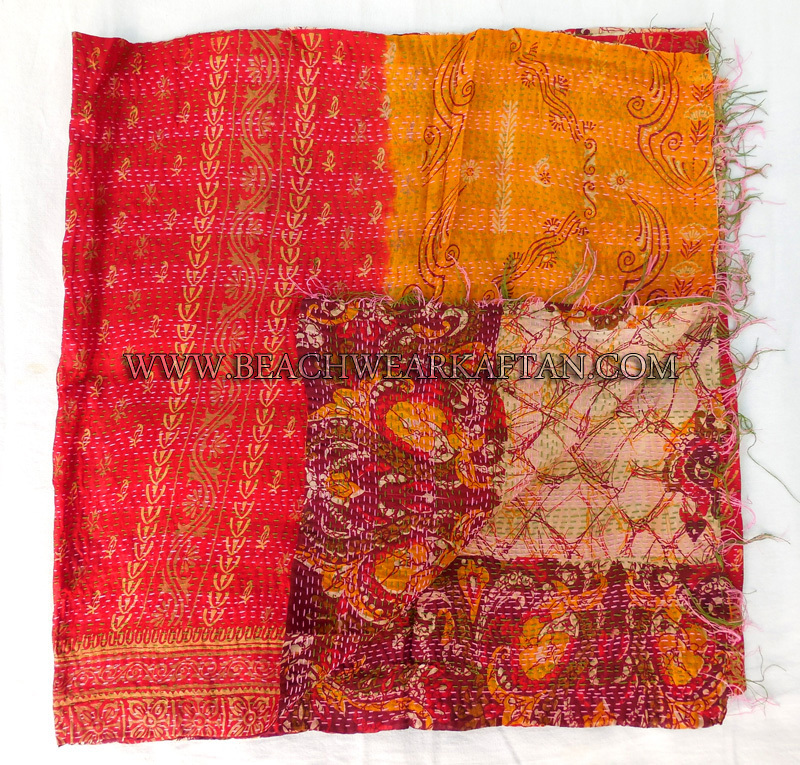 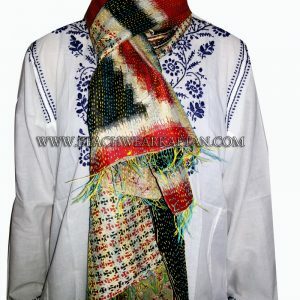 This stole is hand-crafted by rural women of West Bengal, India. 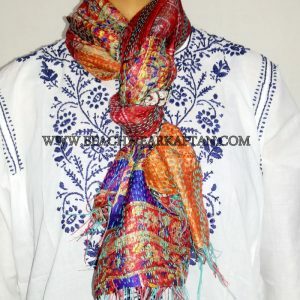 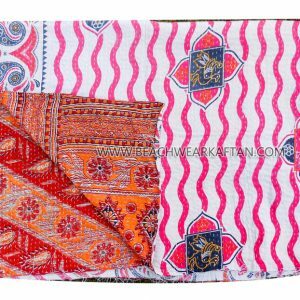 They use silk sarees and a native folk embroidery known as Kantha to craft these beautiful, unique, reversible stoles. 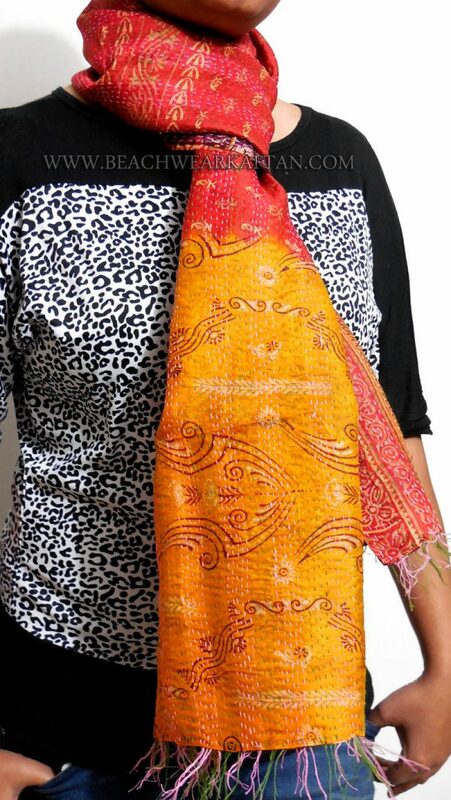 There is only ever one of each design so you can be sure that your chosen stole in truly one-of-a-kind.